I love that it's Friday where you are. And I also love this desk! I can almost imagine keeping it cleaned off....almost. I love that number 5. It's so clean and graphic. Gorgeous and fantastic styling too (love that casual gallery wall!) 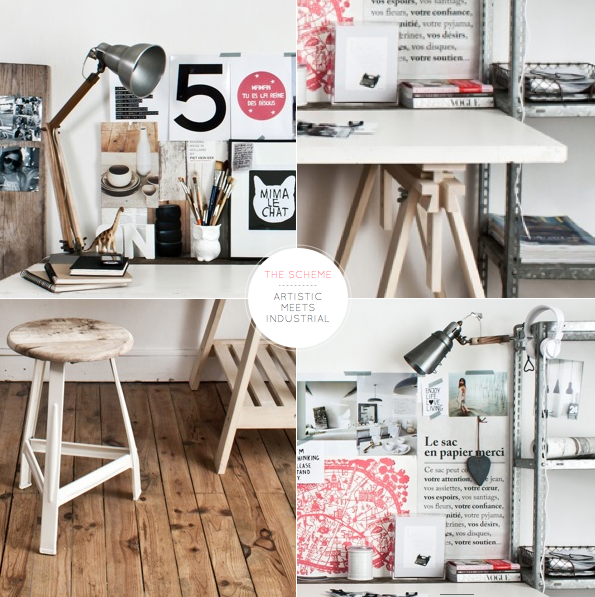 I love the industrial/organic table lamp - and the desk too! Yeah, this desk was my favourite part of the catalogue too. I love the storage in the legs, yet it's still really open. It's really great and it's my favourite colours (matches my blog too :-) hee hee!) I have this desk but unfortunately mine doesn't look as cool as that! Loving Boudie & Fou as well. Happy Friday! the cat print is very cute! What a way to decorate! Love the desk! I have been obsessed with Bodie & Fou for a couple years now - they were one of the inspirations I used for my store! The new catalogue is just too cool - seriously want that print! I love it! So pretty but it's a are that's realistic and not so pristine that you can't work in it. 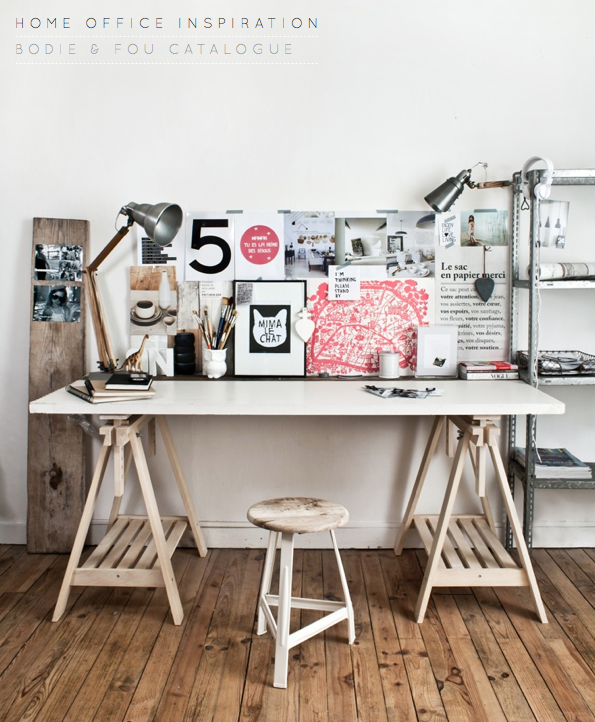 Love the desk, lamps and the floors! Have a great weekend, Will! Who is the desk by?